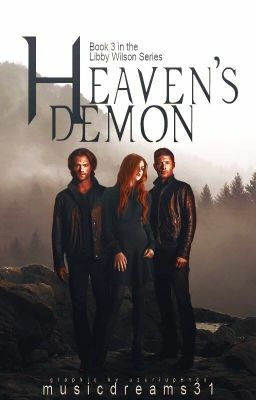 **MUST READ BREAKING THROUGH AND HELL'S ANGEL FIRST** (Set in seasons 9 and 10) ""No. No. I know that her soulmate changed. It's not-" Elizabeth placed a hand on his chest. "But her soulmate isn't mine. We were split in two, Sam. Two Elizabeths, two soulmates." "Ironic if you think about it," Nadia chimed in. Sam glanced up at Heaven's Demon, as did Dean and Cas. "Lucifer's vessel with a demon and Michael's vessel with an Archangel. I guess the saying 'Opposites attract' is wrong after all. Goodbye, Dean, Sam. I hope you ended on good terms with Libby because you're never going to see her again."" Libby Wilson, daughter of the Devil and Heaven's Demon. She's the Archangel of Hell. She's Humanity's savior. She's the guardian angel of the Winchester brothers. She's a Hunter. She's an Archangel. She's a Demon. She's the universe's ultimate weapon...and her soul has been split in half. But what happens when part of this weapon falls into the wrong hands?